We assess everyone’s strengths and challenges by taking the time to talk to the child/young adult and their parents. Each assessment is tailored to suit the individual’s needs, developmental level and age range. We use evidence-based standardised tools as part of our multi-disciplinary assessment that our staff have been trained to administer. We assess the individual across 10 domains and then monitor progress every 6 months. 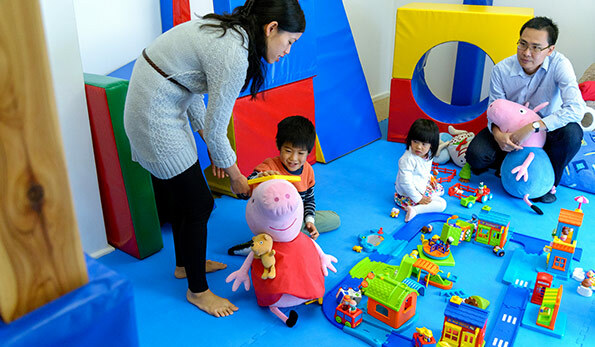 We also assess the child’s Functional Emotional Developmental levels, Social Interaction, Play, Sensory-Motor Processing and Language Development. We provide a multi-disciplinary assessment to keep costs down for families and ensure we approach the individual’s development holistically, not as separate pieces in different locations. During the assessments we take the time to observe parent-child interactions, communicate, interact and play with the child and/or young adult and discuss any concerns with the individual and/or the parents. We try different strategies to support the individual’s development and start coaching the individual and/or parents how to use the strategies at home. Each assessment is tailored to suit the individual’s needs, developmental level and age range as each person is unique. Assessments are done in collaboration with the individual and family. We focus on the strengths of the individual and family and provide strategies for the individual and/or parents to support the challenges.